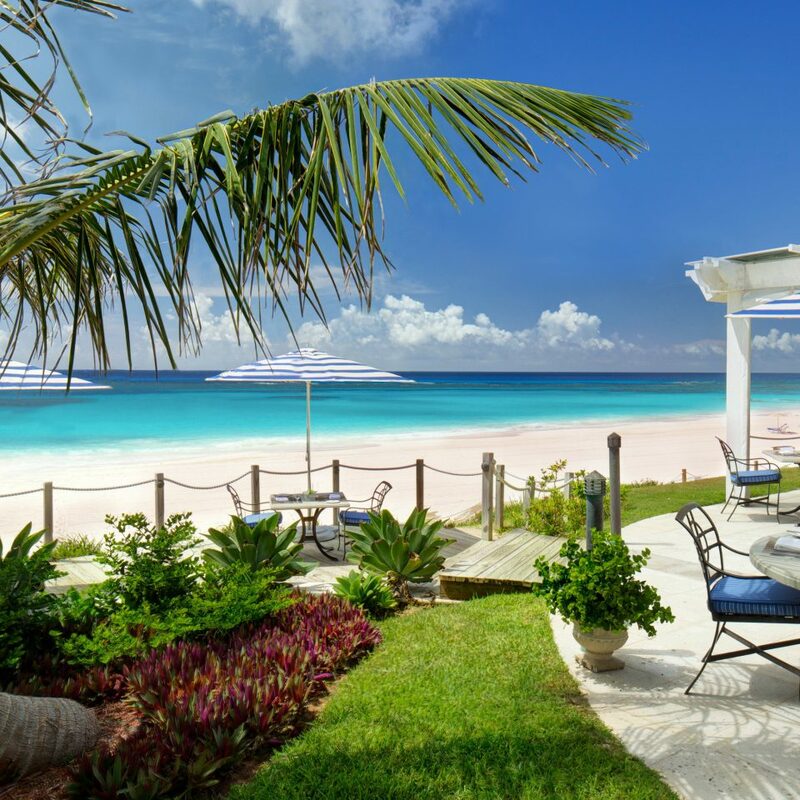 When what was formerly Rosewood Tucker’s Point opened in 2009, it was Bermuda’s newest and most luxurious resort, and not much has changed. 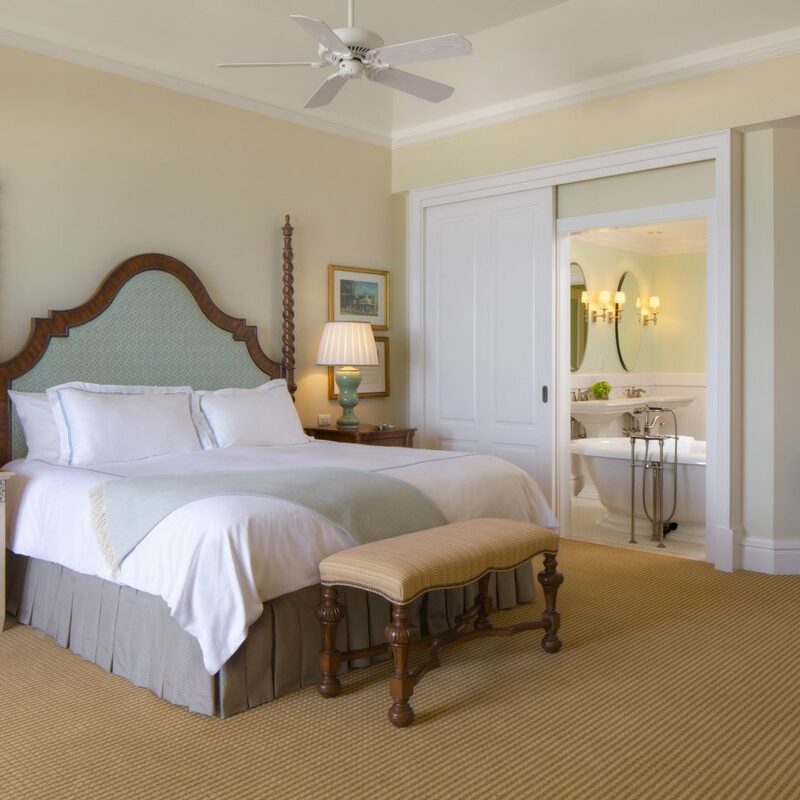 The handsome British Colonial manor house oozes country club charm, with period antiques, rich hardwood furniture and island-inspired artwork — all traits shared by the resort’s 88 spacious guestrooms, which feature endless views of the turquoise harbor. Forget about gauche tropical decor. 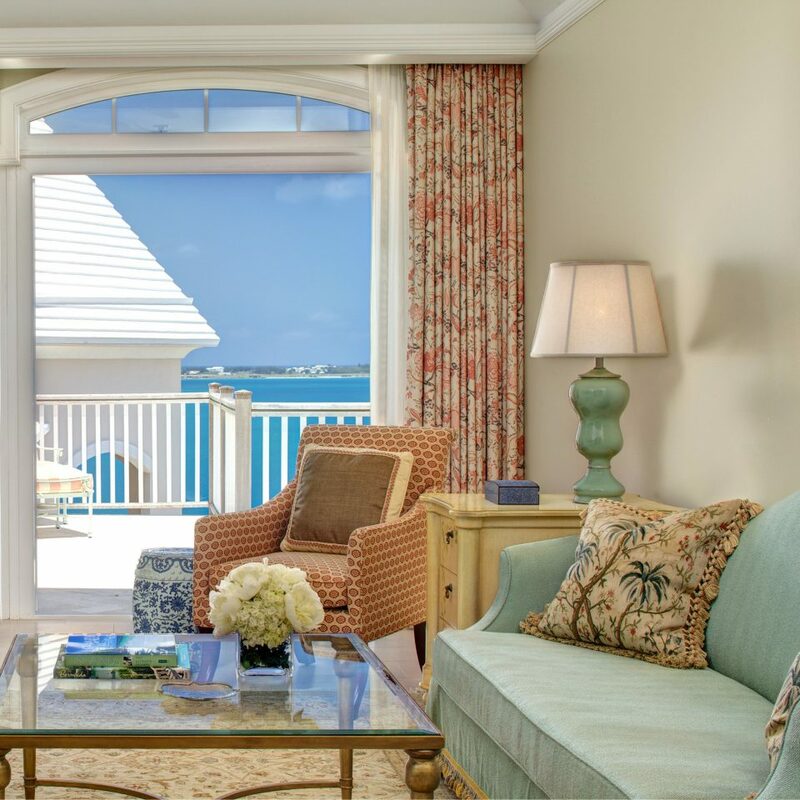 Each of Rosewood Bermuda’s guest rooms is impeccably styled as an elegant seaside retreat. 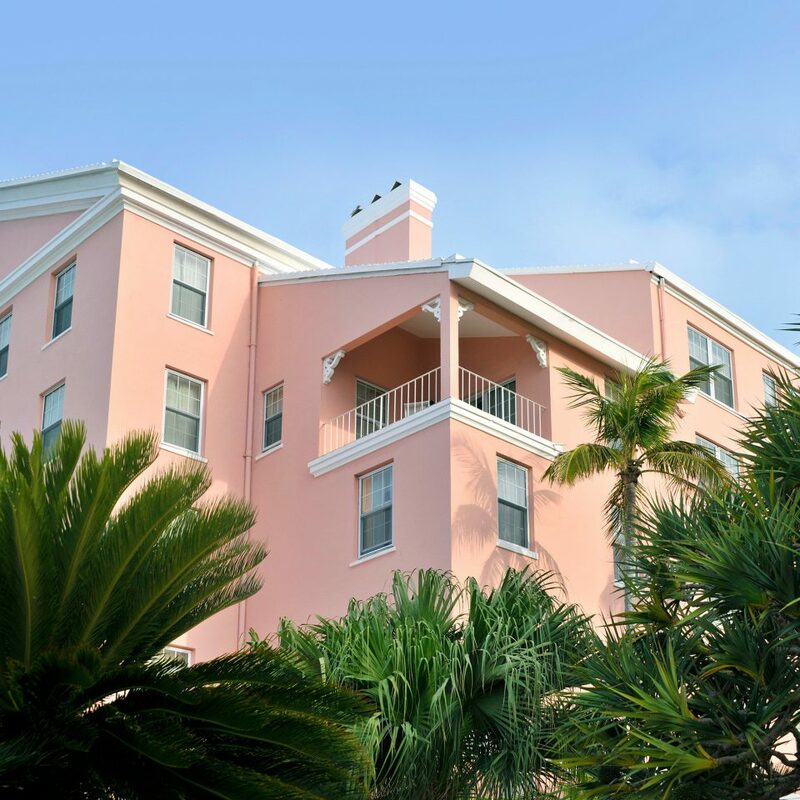 Rooms feature luxurious amenities such as plantation-style furniture, flat-screen TVs, Egyptian cotton sheets and spacious outdoor balconies overlooking the turquoise waters of Castle Harbour. Gorgeous white tiled bathrooms feature huge standalone soaking tubs, his and hers sinks, and marble, stone and glass showers. It may be a small boutique hotel, but expect a full-scale resort experience. 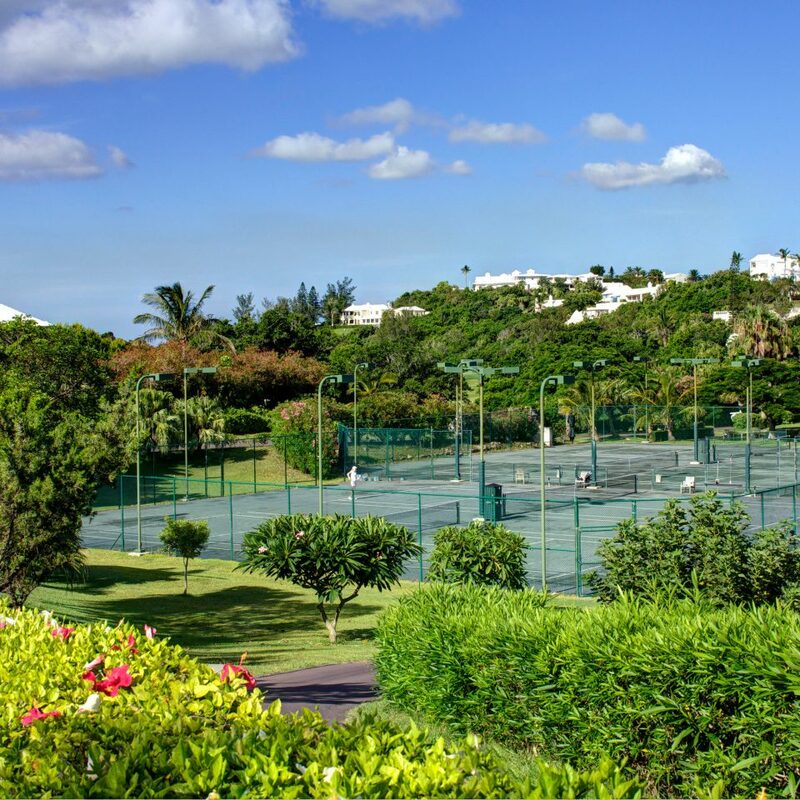 Highlights include four swimming pools, tennis courts, a croquet lawn and a sprawling pink sand beach with a breezy open-air restaurant that’s perfect at lunchtime. 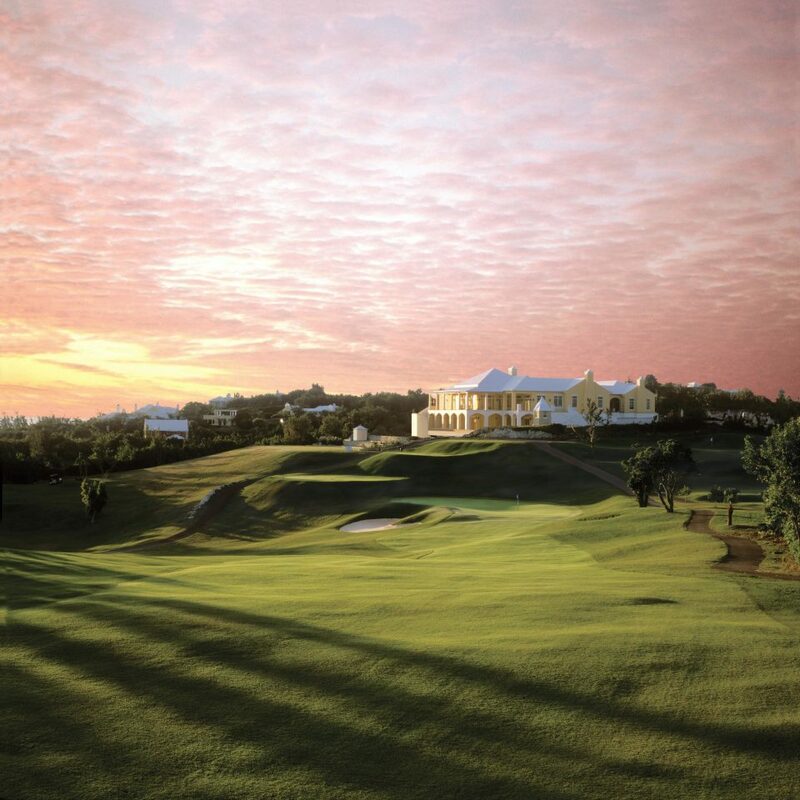 Its 6,300-yard golf course is one of the island’s best, as is its Sense spa, which features an 18-head Silver TAG shower. 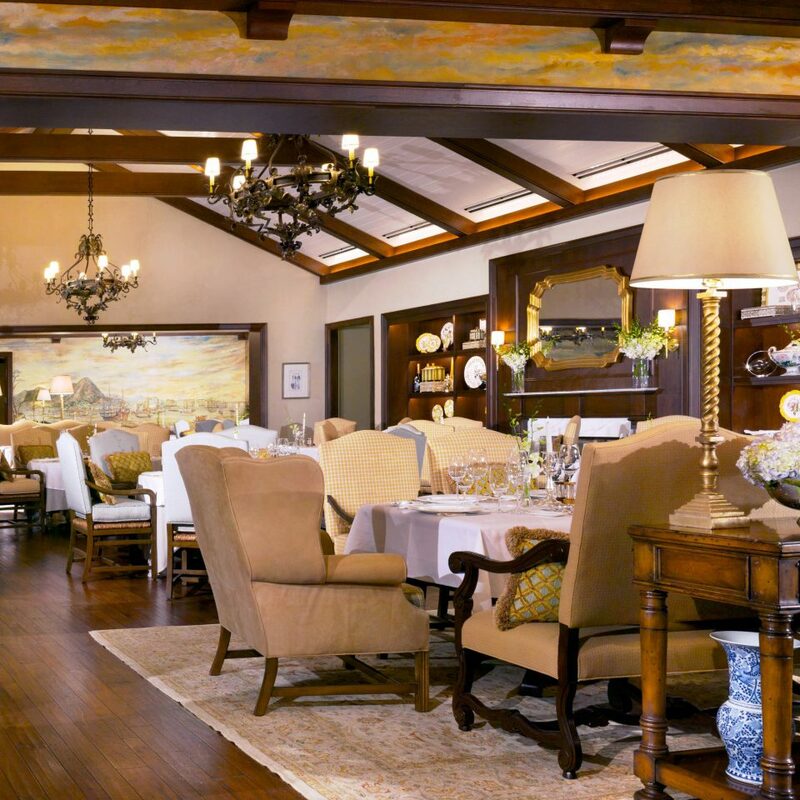 When the dinner bell rings, enjoy Italian classics and all-you-can-eat antipasto at Sul Verde, but for a special night out make a reservation at the Point. 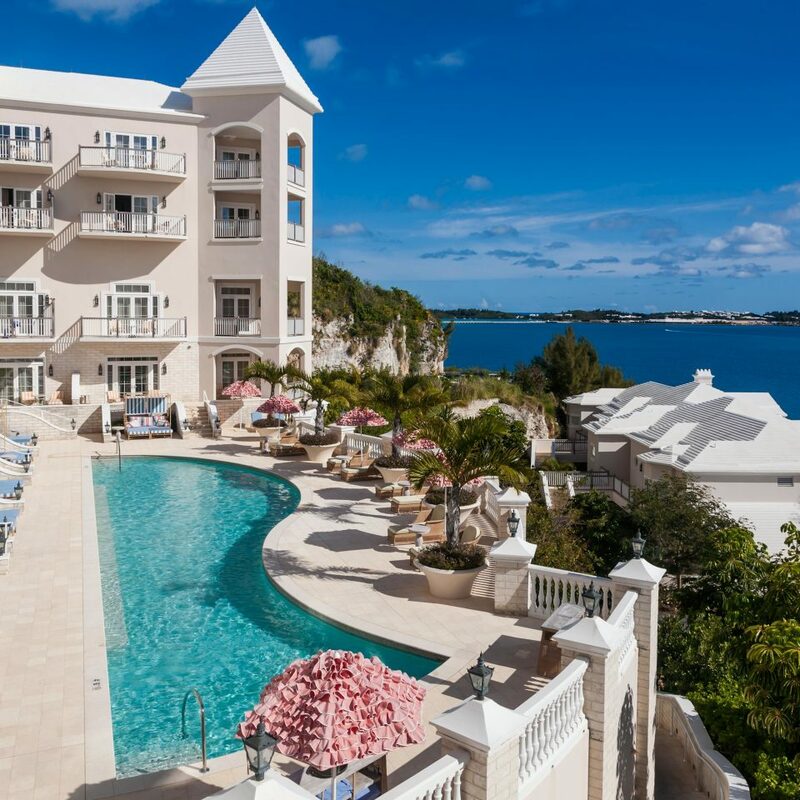 Housed in a white-tableclothed dining room, with stunning floor-to-ceiling murals that once hung in Manhattan’s Pan Am Building, the chops and seafood restaurant has consistently been rated as one of finest in Bermuda. 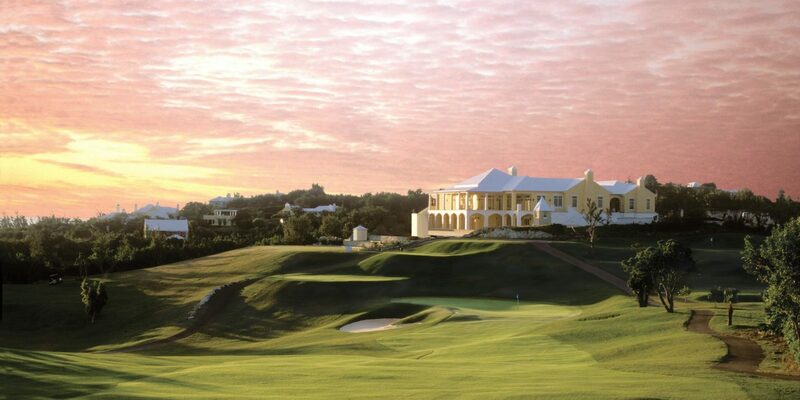 We were late in booking our annual Caribbean trip this year, and decided on Rosewood Bermuda when our go-to property was unavailable. 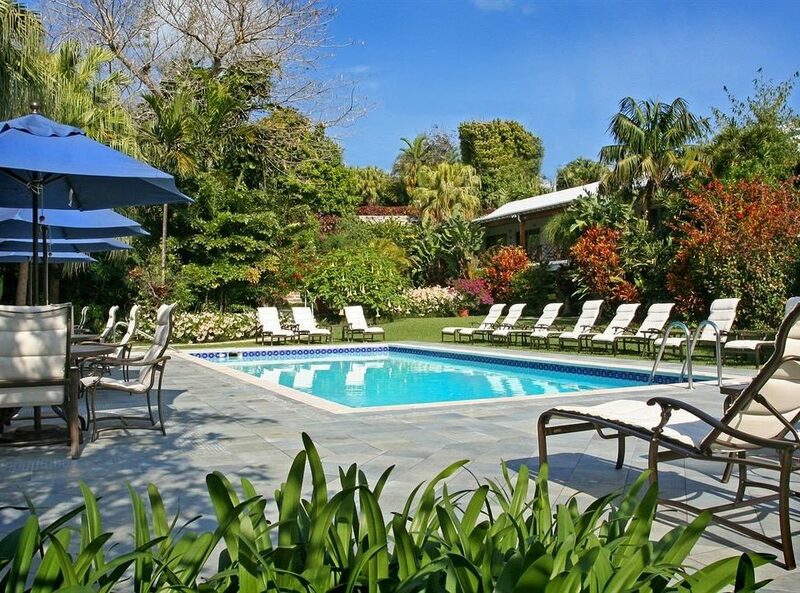 The positives: the grounds are well kept, the rooms are well appointed and the the staff is polite. The negatives: the property is poorly equipped for young children and anyone who cannot climb 2-3 flights of stairs multiple times a day. We stayed with a 15 month old and was assigned a room far from the main building where there was no way to access any of the facilities without a minimum of two flights of stairs. When requesting a ride in a golf cart we were told that none were available, which meant that for 4 days we were limited to one restaurant (up two flights with a stroller) or room service. The menu at the restaurant is extremely limited, which gets really old by the 3rd day especially with a child. I was also surprised to discover that the beach club is 3 miles away from the rooms, which again with no golf cart limited our access tremendously. We have been to Bermuda many times with other properties. Rosewood has the best facilities, however it's not worth a lot if you can't access. We will not stay here again. When I called and booked, the person kept saying you know it’s the Harbor Residences (we were looking for accommodation for four of us), well when we arrived we got to understand what that means. The Rosewood hotel (lobby, bar, restaurant, pool) is really nice. The Harbour Residences are really nice (spacious, comfortable). There is no hotel service to the Harbour Residences. Room service. Nope. Pool side drinks. Nope. Trek to get a cup of coffee in the morning (yes). There is an honor bar but it’s tiny and you’re serving yourself. I can’t help but think that it might be a smart move to have the hotel services of the Rosewood if you find yourself in Harbor having booked through the Rosewood website. I’m not sure this is really explained up front. You can use the hotel facilities but you have to get there. Not shocking by any stretch but you are not staying at the Rosewood when you stay at Harbor. The hotel and harbor are born out of an existing property. It’s pretty big. It borders a golf course. I’m told the food over at the golf club is very good. Some folks worry about formality on vacation. 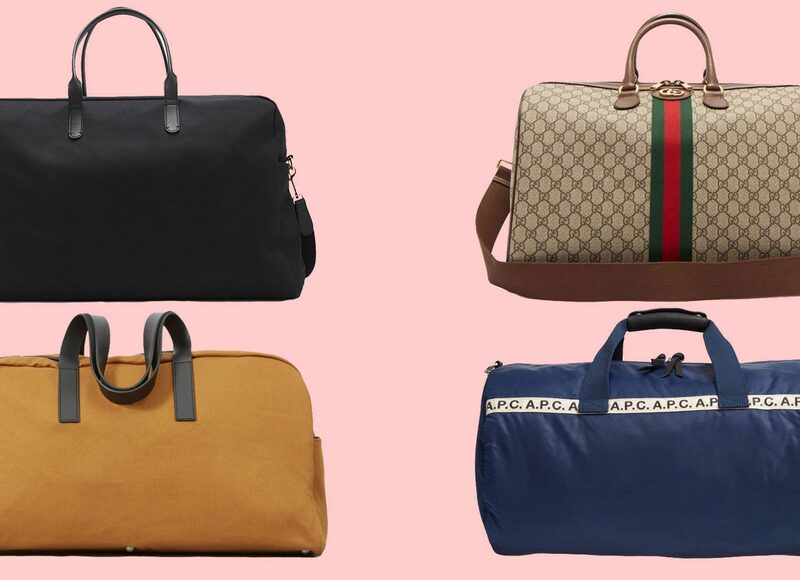 You can be formal here but you can also rock around in flops (or at least this time of the season you can). Dinner can feel a little “stiff”. Food is great, service awesome. But I have a feeling I could be in a high end hotel almost anywhere in the world. Maybe that’s the point but it lacks the feel of the location. 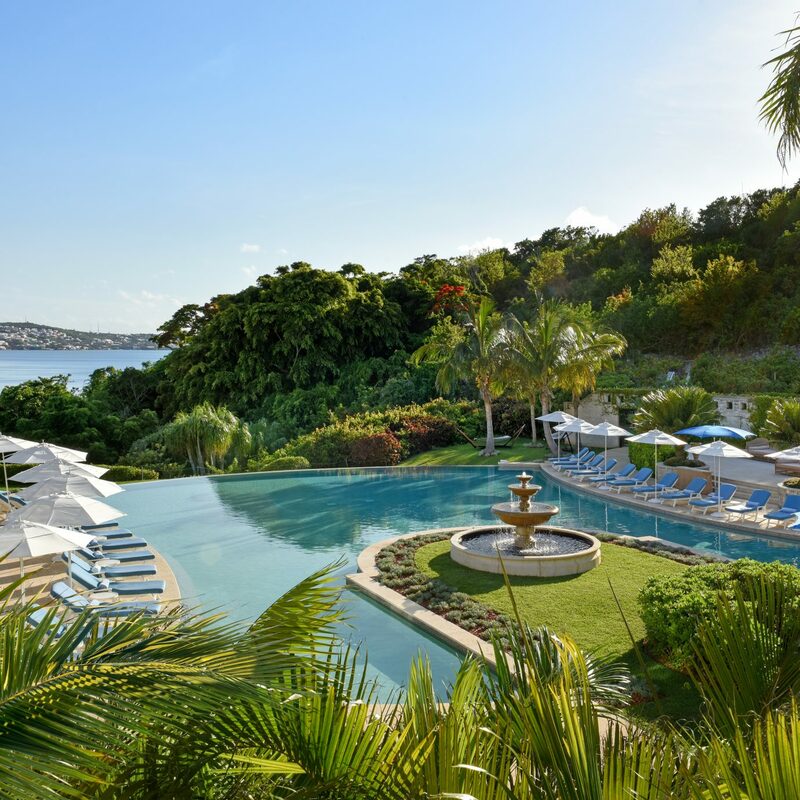 If you go to some resorts (thinking Eden Roc St Bart’s, Viceroy St Lucia, Four Seasons Anguilla (used to be Viceroy) they feel somehow more connected to where they are. Just some general stuff. I was impressed by the courtesy and friendliness. The location is great. 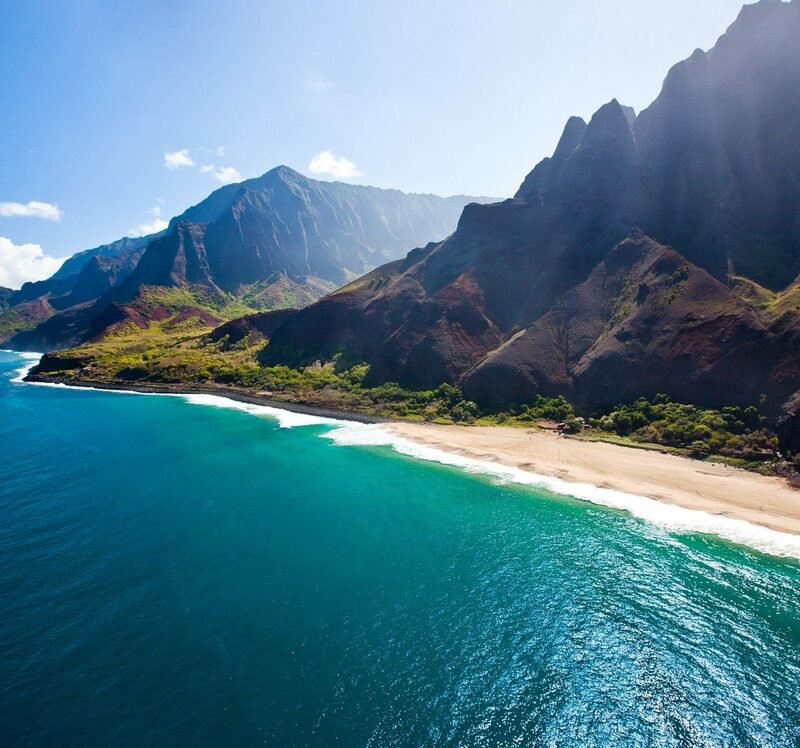 There is no direct access to the beach but a quick shuttle or a golf cart will get you there. The beach is pristine, the pools look a little dated but they are just fine. Beach service is good when it’s there but it’s not looking for you all the time, you’re looking for it (to be fair it wasn’t high season mobbed beach chairs). If you like walks and cycles it’s a great area to do it in (really nice walk from the hotel to the beach club). Again, if I was observing, feels less relaxed and a bit more formal, but don’t forget, that’s personal taste and perception). Other general stuff. If you want to see the island wherever you stay you’re using cabs, scooters or Twizys. 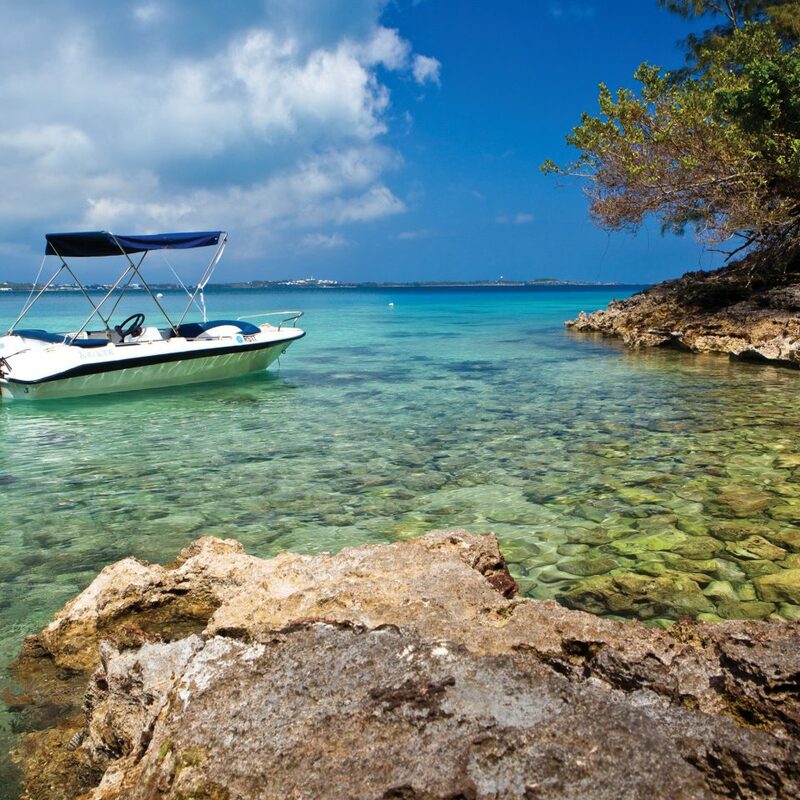 Rosewood isn’t central but it’s great for St George (we loved Tobacco Bay for snorkeling). There is no car rental. Twizys will carry two people but size is an issue for the back seat ! Loads of fun tho’ (see Current Vehicles). If you like to dine out, Village Pantry and Rustico are pretty close and good. So, all in, only good and constructive thoughts about Rosewood, if they can get to Harbor in terms of room service I think they’ve cracked it. Nice property, lovely location, great Island! We stayed here in March in a three bedroom apartment. It was absolutely spotless, beautifully furnished and very spacious. More like someone’s home. We had a well equipped kitchen, 3 bathrooms and a huge balcony with bbq overlooking the sea. All staff were very helpful and friendly. Although we don’t play golf there is a very manicured course. I can’t recommend it highly enough definitely 5 stars. I would recommend staying here. The hotel was Amazing, the view, the food, the drinks the island, everything was amazing. Please William the Bartender and Catherine at the front desk!! I did not get to rent the Twizy but i saw them and it looked so worth it, I will definitely on my return stay! 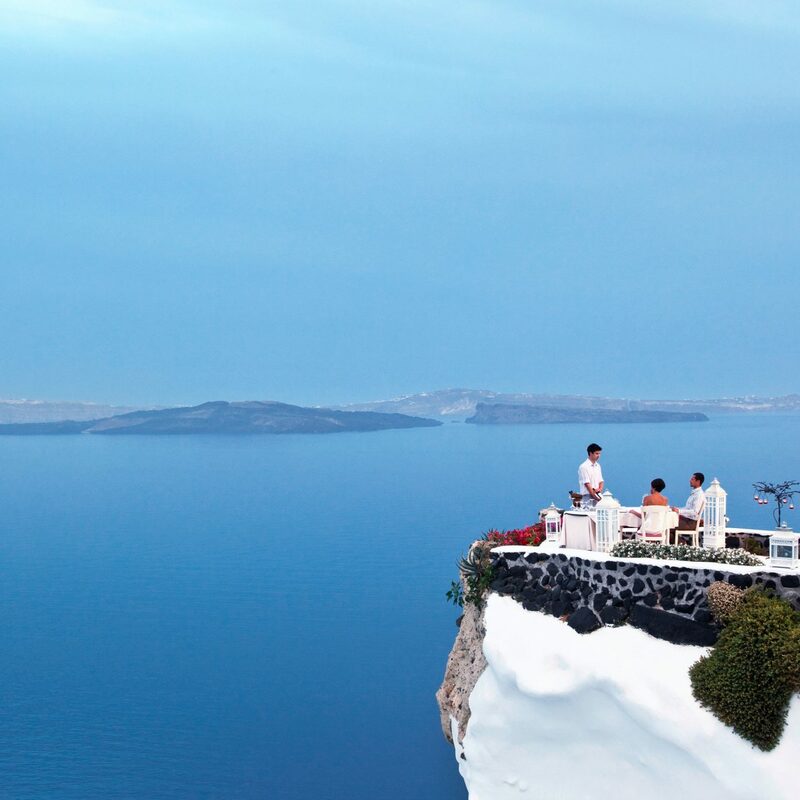 4.5 Star Resort with incredible views. We planned our wedding at the Rosewood in March, 2019. The resort is lovely and our room was very large with a private, covered veranda with an incredible ocean view. The bed was luxurious and sooooooo soft. We arrived to find chocolate covered strawberries and champagne in our room. The resort is expensive and for the money and five star rating we expected service to be impeccable. Unfortunately, the service level was highly inconsistent. On two occasions, our room was not cleaned by 5:00 p.m. while other days it was cleaned promptly when we were out and included turn down service. The food quality at both restaurants was excellent and prices were as expected for Bermuda. The Rosewood does not offer any complimentary breakfast although there is a coffee and tea service available off of the main lobby in the morning. Generally speaking, there are not a lot of five star type amenities. Anything in the room that you use from the refrigerator or bar (except tea bags and one bottled water per/day) is at an extra charge. For those who haven't visited Bermuda, it is important to note that tourists are not permitted to rent cars. Scooters can be rented, however. The Rosewood resort is quite a distance from the main road and thus be prepared to utilize cabs liberally to get to points of interest off of the resort. Staff are helpful in arranging transportation for guests and they offer airport pick up for an additional fee. Probably the most disappointing experience at the Rosewood was the manner in which they handled our ceremony which was outside near the pool area. Immediately after the service, our photographer was taking some pictures of us and our guest in an area near where our cake and champagne was set up. We were away for less than 20 minutes and when we returned the staff had removed our cake, all of the set up, and the champagne. We had to inquire in the restaurant about this and they finally delivered our cake to our room later in the evening. Staff were apologetic and it appeared that mistakes of this nature were primarily due to poor communication between different departments within the resort's internal structure. Overall, however, we enjoyed the beauty of the Rosewood's setting and will probably return for our anniversary in the future.